The separation of massecuite into sugar crystals and mother liquor was carried out by pouring the massecuite into perforated vessels. The molasses dripping conducted with holes while sugar crystals were washed by pouring sugar solution. So this was separating mother liquor by means of force of gravity. The machine in which crystals in the massecuite are separated from the surrounding molasses or syrup by a centrifugal force is called a centrifugal or a centrifuge machine. For each battery of centrifugals, a “U” shape vessels are used, fixed in the centrifugal staging with drive. These pug mill are equipped with heavy duty agitator to keep the massecuite at constant motion. The level of massecuite in pug mill is always kept full so as to provide positive massecuite head when charging to centrifugal machine. 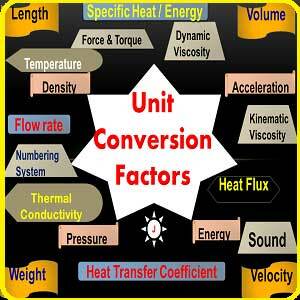 For heating low grade massecuite up to saturation a heat transfer unit is used which is called as transient heater. In transient heater low grade massecuite is heated uniformly with vapour / steam/Condensate . Mingler, where crystal and liquid are mixed together. 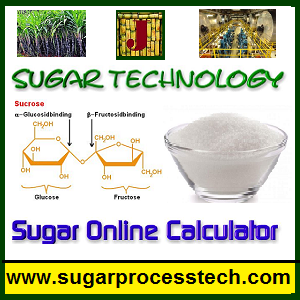 When massecuite is to be double cured or even single cured ( in case of low grade massecuite), the centrifuged sugar is to be mixed with syrup or clarified juice or hot water to form a magma. The magma preparation is generally done in magma mixers. These mixers are double paddle type with drive under centrifugal machines help in well mixing of sugar with diluting liquid. The arm shall be strong enough to brake the lumps of sugar and mix well with liquid. Mixture of crystals and liquid (water, clarified juice, syrup or molasses) produced by mingling. Equipment in which dissolving of sugar takes place. Another term for dissolving of sugar crystals. 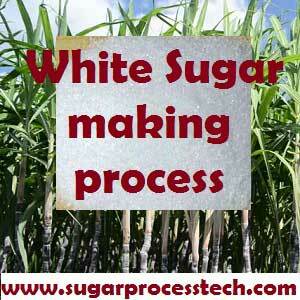 A syrup made from centrifuged low-grade sugar which is dissolved or remelted and returned to the high grade boilings. General term for syrups or molasses produced on centrifuging a massecuite. The molasses receiving tanks of usually 1 to 3 m3 capacity are of steel welded construction. The function of these tanks is to receive the molasses / runoff before pumping to molasses storage or supply tanks. The fore worker magma is pumped to either pug mill of after worker machine (in case of double curing) or sent to seed crystalliser or melter depending on massecuite scheme with the help of magma pumps. The molasses pumps pump the molasses from molasses receiving tank and supply the same to pan supply tanks. For better washing and get good quality sugar, superheated water is used for washing. In case of self-discharge batch type centrifugals, both water and steam is adopted. The super heated wash water system heat the hot condensate water to 115 ± 5 oC by steam, with high head centrifugal pump, thermostat controls to have uniform temperature and also safety valve and return water line. In case of continuous centrifugal machines, hot water of 70 -80 oC is directly used. It is the ratio between the centrifugal force and gravity. The effect of various centrifugals is compared by a ratio of centrifugal force exerted on the material to that of gravity. The centrifugal force is usually expressed as the number of times it exceeds the force of gravity and this has led to the term Gravity factor. 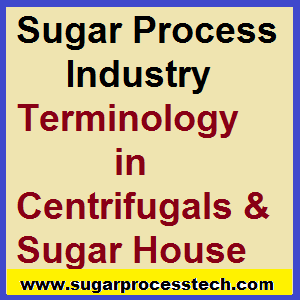 The sugar after separation from molasses in centrifugal machines is conveyed via sugar conveyor normally hoppers. The sugar discharged from high grade centrifugals is still wet and to be dried and further cooled, graded before bagging and stored in godown.